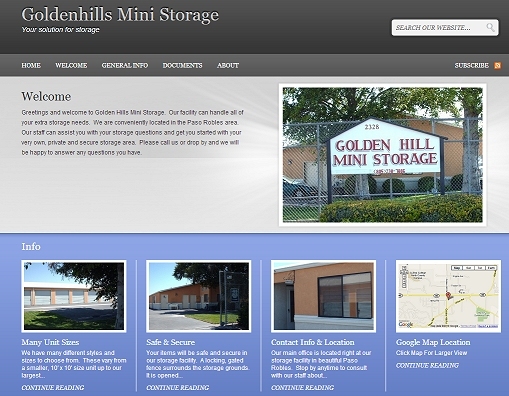 Golden Hills Mini Storage of Paso Robles, California needed a simple & clean design for their online site. This allows their customers to get information about the various storage options and they also get a good look at the facility through many photos embedded on the website. We created a nice, attractive design for them to showcase their facility. There is also plenty of contact information on the site, hours of operation and other helpful details. Take a look at their online site HERE and take some to to look over the various sections of the site.